Grandmaster Robert Cutrell is the Founder of the art of ChunJiDo and the ChunJiDo International Martial Arts Organization. Grandmaster Cutrell has been recognized as one of the top self-defense experts in the world. He is a multiple Hall of Fame inductee and was recently inducted into the Action Martial Arts Magazine Hall of Fame, martial art's largest and most prestigious hall of fame, for his “Outstanding Contribution to the Arts.” In addition to being recognized as the Soke of the art of ChunJiDo, Grandmaster Cutrell is also recognized by many world organizations including the WOMA/ World Head Soke Council of Japan, Grandmaster Cutrell holds black belt ranking in Taekwondo, Kempo, Nippon Jujitsu, Hapkido, and Simmey-Do Karate. In 2008 Grandmaster Cutrell was prominently featured in a stamp treasury album published by the Chinese government in commemoration of the martial arts during the Beijing Olympics. The book contains pictures of 650 of the most prominent martial artists in the world, and Grandmaster Cutrell was selected as one of the representatives from the USA. 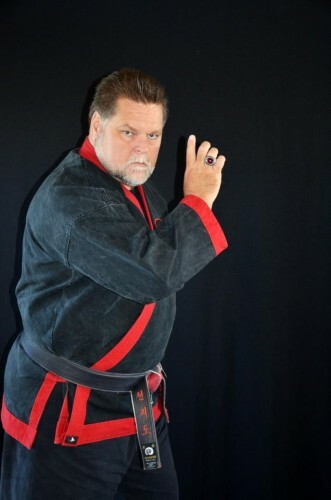 Grandmaster Cutrell is also USA Vice-President of the Simmey-Do Karate Federation, a Grandmaster in the Martial Arts Council of Elders, a member of the International Grandmasters’ Society, the United States Martial Arts Association, and many other highly respected martial arts organizations from around the world. Grandmaster Robert Cutrell specializes in advanced self-defense training and has an extensive knowledge of traditional martial arts principles and application. In addition to sponsoring international training camps in Evansville, Indiana, his hometown, Grandmaster Cutrell has conducted seminars across the United States, Canada, and Europe. He has also instructed several national and world champion competitors. Grandmaster Cutrell has now expanded the ChunJiDo organization to include ChunJiDo schools and affiliates in 5 continents and over 25 states in the USA. "Grandmaster Robert is truly an inspiration to the Martial Arts world... he invites Grandmasters of all different styles of martial arts to come together with only one purpose in mind, to portray all arts as belonging to one family and to make this martial art family bigger, stronger, and better. "Master Cutrell is a true martial artist, a leader in the study and development of the arts. I have studied with some of the best in the world, Master Cutrell is one of them." "Martial Arts is also about doing the right thing and standing up for those who need help. "Master Cutrell is a teacher, a Sifu, who lives by the principles he teaches. "I have great respect for him and am glad to have him as a friend." "Risk more than others think is safe. Care more than others think is wise. Dream more than others think is practical.Expect more than others think is possible." A true master is someone who gives and asks for nothing in return except respect and loyalty.